Elyse Flynn Meyer Co-Authors New Book, “Breaking the Concrete Ceiling: Empowerment Tools for Women"
Elyse Flynn Meyer, Owner & Founder of Prism Global Marketing Solutions, recently co-authored the book, “Breaking the Concrete Ceiling: Empowerment Tools for Women”. Her section of the book, "How to Build, Maintain & Elevate Your Personal Brand to Propel Your Career," focuses on 8 strategies to help individuals navigate, manage and sustain a personal brand that drives their career forward. “Branding has always been synonymous with companies. Companies have a brand that has been cultivated over time, and people associate different attributes, thoughts, and feelings with that company because of their brand. People also have their own brands, but oftentimes don’t think of themselves as their own brand. It’s time for that to change. I was compelled to be a co-author in this book because I feel that personal branding has often been forgotten as people plan their career strategy. I want to help individuals leverage concrete strategies and tools to help them on their personal branding journey,” says Elyse Flynn Meyer. Download Your Copy of the Book Chapter. 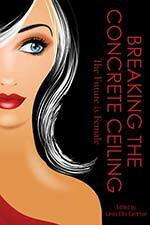 The book, “Breaking the Concrete Ceiling: Empowerment Tools for Women” is designed for women internationally who need to understand how to embrace their unique qualities such as: empathy, compassion, genuine leadership, listening skills, collaboration, and communication. The purpose of this book is to provide women with the information they need to feel confident in both their professional and personal roles. Other co-authors of this book include: coaches, consultants, psychologists, educators, and business leaders. Specifically, another co-author of the book is Joanne Flynn, Elyse Flynn Meyer's mother. Her chapter entitled, "Organizational Currency 101: The Basics of Career Currency," focuses on helping individuals identify their personal career currency, and how to leverage the tools and their use of power to impact their career and perception.